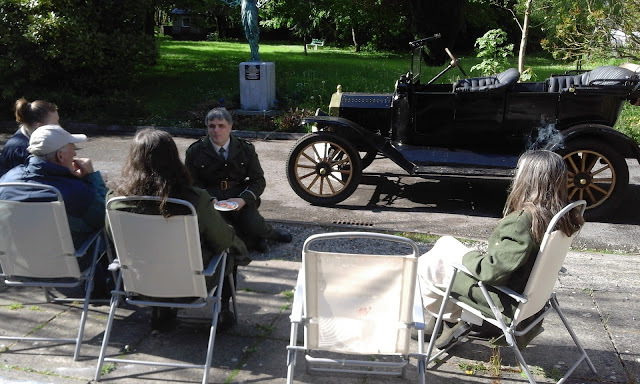 Seamus Clarke of Outtake Community Media also filmed our Time Travel Day Out to 1916 recently. 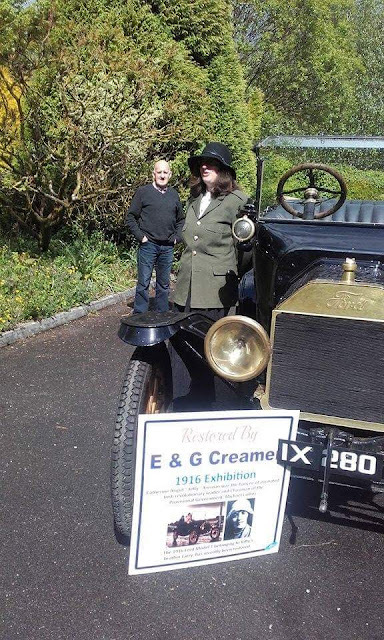 We really enjoyed getting to see the car Kitty Kiernan once travelled in with Michael Collins and want to thank Eamon Creamer for bringing it along. 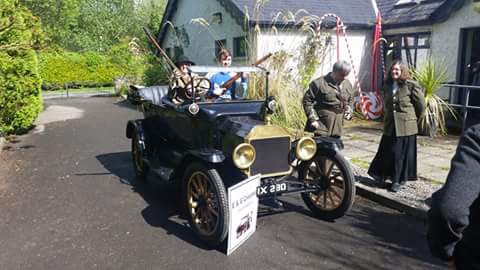 Thanks to the 1916/2016 Longford Committee for their support all year and for attending the event. Special thanks to Heritage Officer, Mairead Ní Chonghaile for coming along in character as Brigid Lyons Thornton, Martin Smyth who agreed to be Padraig Pearse for us and everyone else who put effort into their costumes and brought some along for others. 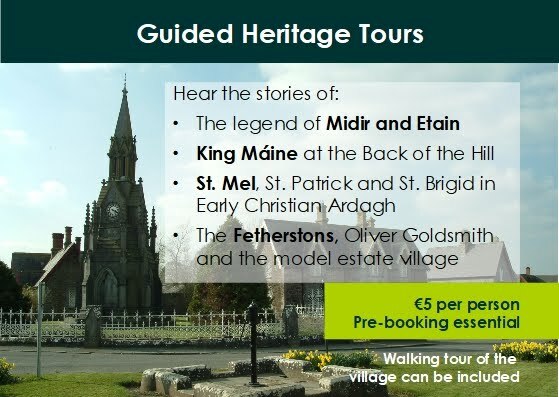 Thanks also to John Mimnagh and Robert Belton for telling us about their Longford relations who were involved in the Rising. 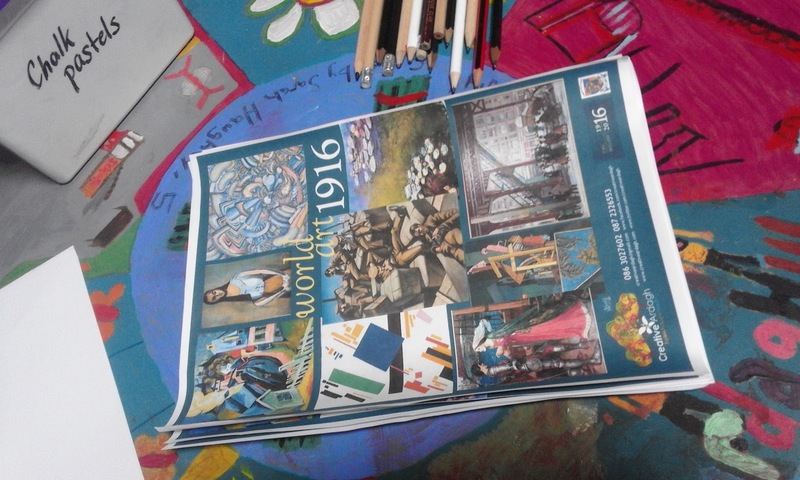 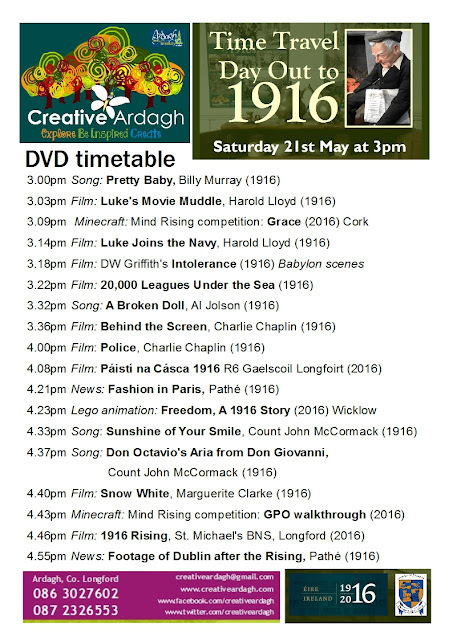 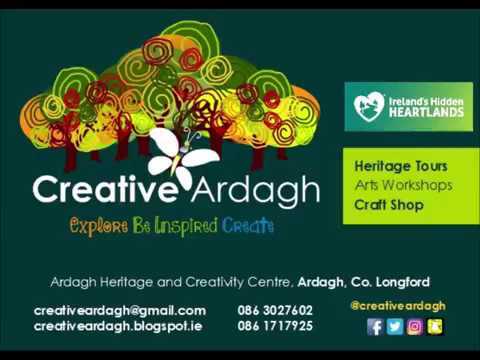 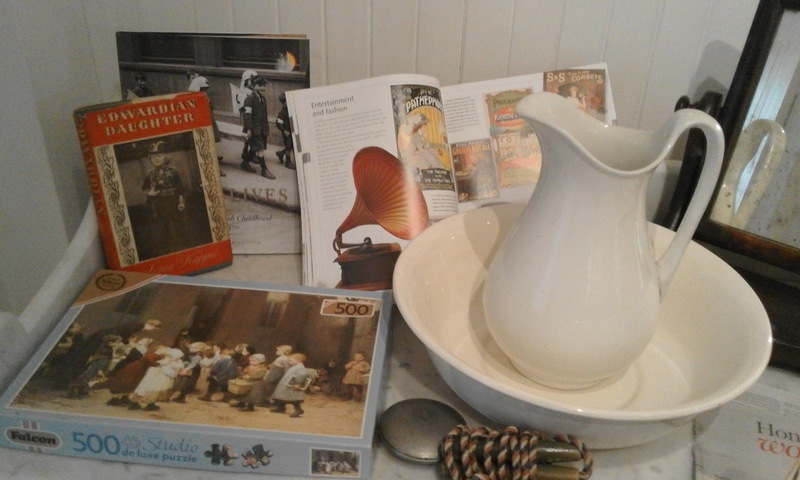 We had fun researching the art and entertainment from the era during the year and put a compilation of video from and about 1916 together for the day. The list of what was shown is below, most can be found on YouTube. 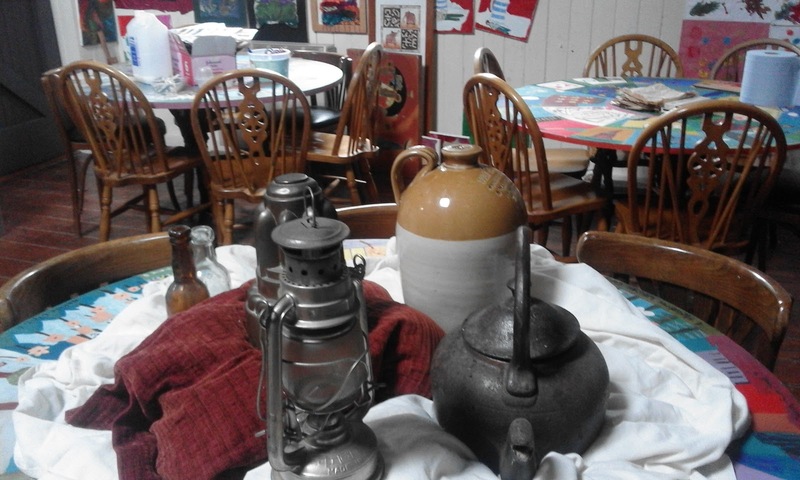 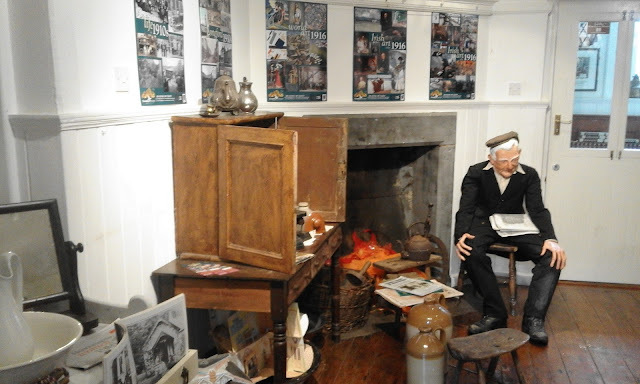 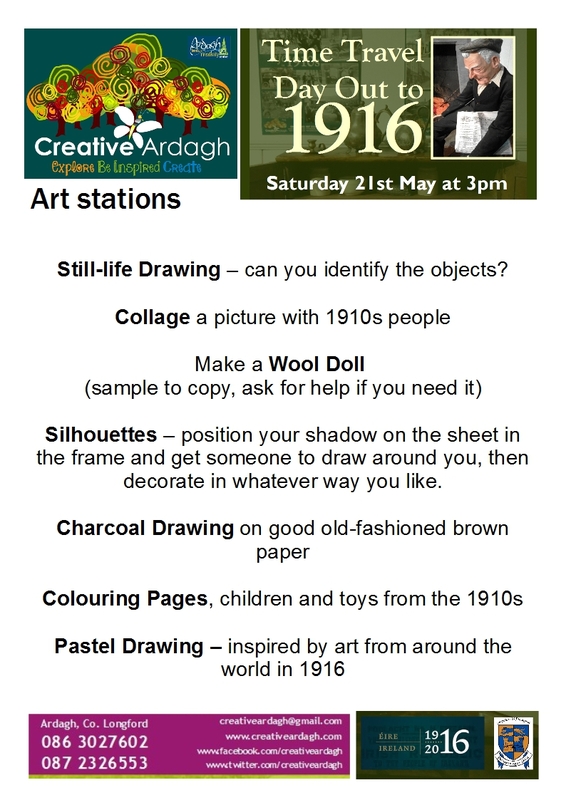 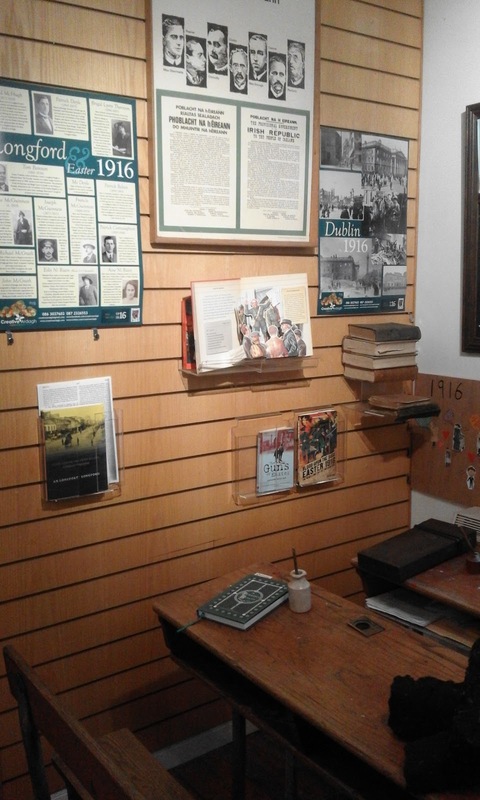 We are also very grateful to Gaelscoil Longfoirt for lending us their wonderful 1916 projects for display on the day.